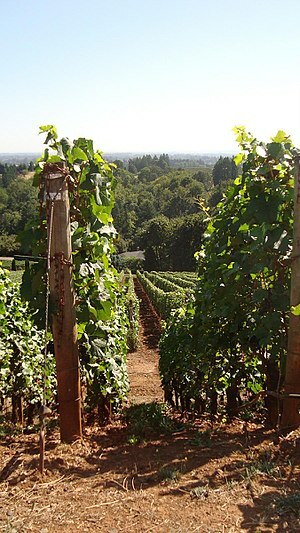 Oregon is the third largest wine producing state in the US. 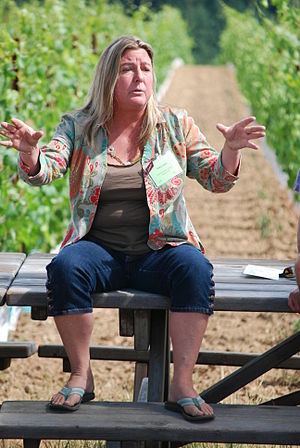 There are 16 AVAs in Oregon with 450 wineries and 850 vineyards. Oregon and Idaho share an AVA in the Snake River Valley. Oregon and Washington share two AVAs; the Walla Walla Valley and the Columbia Valley. The wine industry contributes $2.7 billion to the state’s economy and Wine Tourism contributed $158 million to Oregon’s economy in 2012. 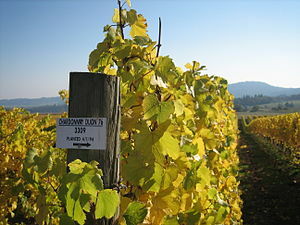 The first AVA’s in Oregon were: Columbia Valley, Umpqua Valley, Walla Walla Valley and the Willamette Valley. 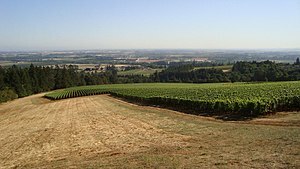 The Willamette Valley American Viticultural Area (AVA) was founded in 1984. 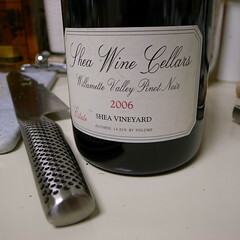 This AVA has two-thirds of the state’s wineries and vineyards. 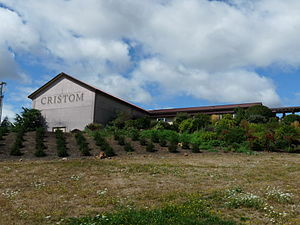 It is home to more than 200 wineries; with initial plantings in 1966. This designated grape growing region can be distinguished by specific geographic features. 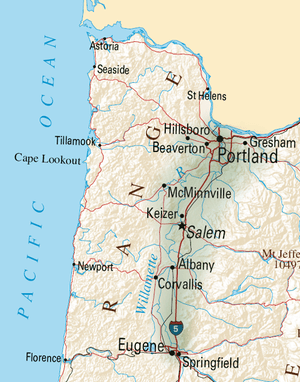 The region covers 5372 square miles of land from Portland to Eugene. 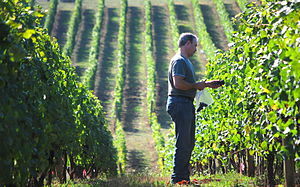 Smaller AVAs have been created within the northern portion of Willamette Valley’s 3,438,000 acres. 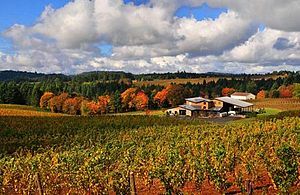 An interesting chain of events catapulted Oregon’s fledgling Willamette Valley wine region into the stratosphere. At the 1979 “Olympics of Wine” that was held in Paris, a Yamhill County Pinot Noir from The Eyrie Vineyards placed 3rd in a blind tasting of some of the world’s finest Pinots. “Burgundian wine producer Robert Drouhin could not believe the results, and in early 1980 staged his own tasting in Beaune. The Eyrie’s 1975 South Block Reserve Pinot Noir placed second against a Drouhin 1959 Chambolle-Musigny. 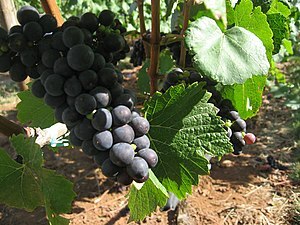 It was not to be believed!” Today, Domaine Drouhin Oregon produces Pinot Noir in the Dundee Hills. 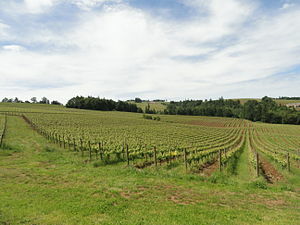 The Willamette Valley AVA is the largest in the state and has most of the state’s wineries (about 200). Geographically, it stretches from the Columbia River in the North on the Oregon/Washington border; to Eugene in the South. It covers the Oregon Coast Range in the west to the Cascade mountains in the east. The Oregon Coast Mountain Range creates a rain shadow effect east of the mountains in the Willamette Valley. There is less rain in the Willamette Valley than in the coastal region of the state. This area is recognized around the world for its luscious Pinot Noir. This grape is a cool-climate varietal and the Willamette Valley is well suited to cool climate grape growing because it is protected by the mountains and a series of lower hill chains. These grapes are grown on lower hillsides, not on the hilltops. Let’s explore the 6 sub-regions of the Willamette Valley Pinot Noir Wine Tourism Wonderland. 1. CHEHALEM MOUNTAINS were granted AVA status in 2006. I liked the 2010 Blakesless Pinot Noir and I also liked the owner of Blakeslee Vineyard Estate because he looked so much like my father. The Chehalem Mountains are southwest of Portland in the northern Willamette Valley. The Chehalems are the highest mountains in the Willamette Valley. The highest peak in the Chehalem Mountain Range is Bald Peak, rising to 1,633 feet. The mountains extend 20 miles in length and 5 miles in breadth, stretching from southeast to northwest. 2. DUNDEE HILLS were granted status as an AVA in 2005. Try the Domaine Drouhin Laurene www.domainedrouhin.com. Maison Joseph Drouhin is a French wine producer based in Burgundy France, founded in 1880. Today both Maison Joseph Drouhin and Domaine Drouhin Oregon are owned and operated by the great grandchildren of Joseph Drouhin. 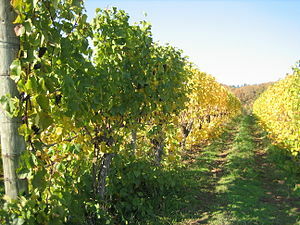 The first grapes in the Willamette Valley were planted in the Dundee Hills. It remains the most densely planted area in the state. 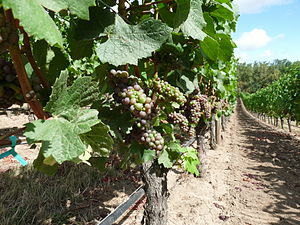 There are more than 1700 acres of grapes planted in approximately 50 vineyards. 3. EOLA-AMITY HILLS were granted AVA status in 2006. 4. 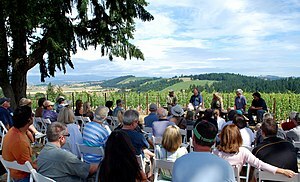 MCMINNVILLE was granted AVA status in 2005 and hosts the annual International Pinot Noir Celebration. 5. 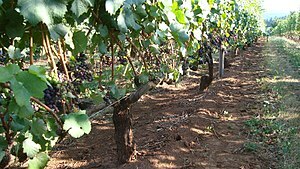 RIBBON RIDGE was granted AVA status in 2005. Ribbon Ridge is at the northwest end of the Chehalem Mountains. Ribbon Ridge is contained within the larger Chehalem Mountains AVA. There are approximately 500 acres planted on the ridge, within 20 vineyards. 6. YAMHILL-CARLTON DISTRICT was granted status as an AVA in 2005. Try the Lenne Estate Pinot Noir www.lenneestate.com. Lenne was started in 2000 by Steve and Karen Lutz. They have a 20.9-acre vineyard at 18760 N.E. Laughlin Road in Yamhill. 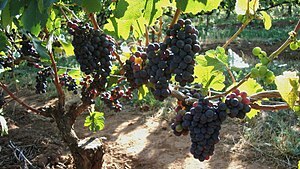 The Karen’s Pommard Pinot Noir is from the vineyard’s Pommard blocks and is named after the owner, Karen. North of McMinnville and south of Gaston, the foothills of the Coast Range create an AVA of nearly 60,000 acres between Carlton and Yamhill. The Coast Range to the west creates a rain shadow over the entire district with additional protection from the Chehalem Mountains to the north and the Dundee Hills to the east. There’s also a North Willamette Thanksgiving Celebration. This is an annual weekend Open House. When you finish touring and tasting in the Willamette Valley, head over to the scenic Columbia Valley AVA. Very good overview. Next time you visit the Willamette Valley please stop by to experience our grand hill, vineyard, and Inn setting atop the hills with the best views in the valley and some great wines.